To understand the kind of services we provide, it is important to know what Joinery is. The easiest way to describe it is to simply think of woodworking often associated with home updates or installations. Joinery refers to woodworking, particularly of the wooden components of buildings such as stairs, doors, cabinets and so on. 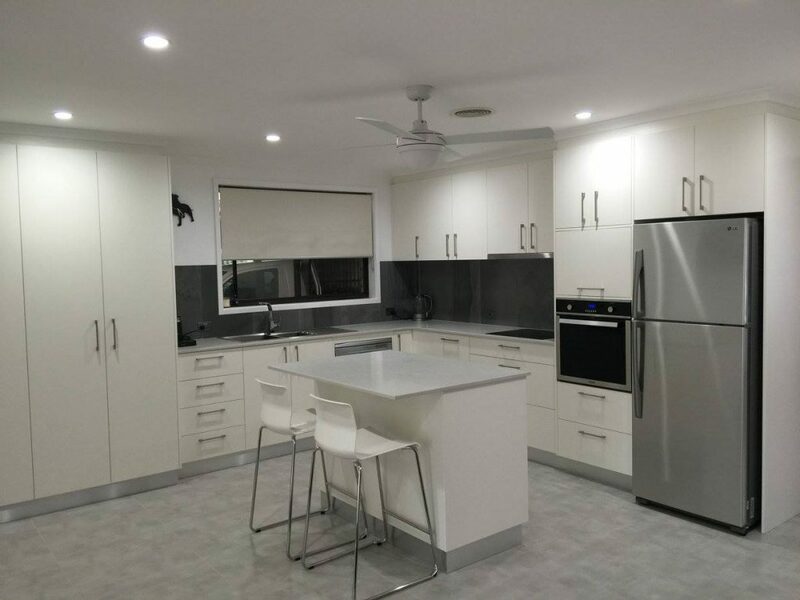 Our highly-skilled craftsmen go beyond the kitchen, vanity, bathroom and wardrobe aspects often covered by standard Canberra joinery teams. In fact, we’re able to design, construct and install a wide range of professional woodworking additions.